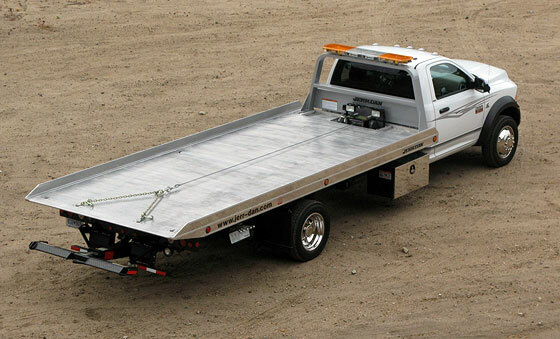 At Atlanta Commercial Trucks, we want you to have the perfect truck needed for your business. 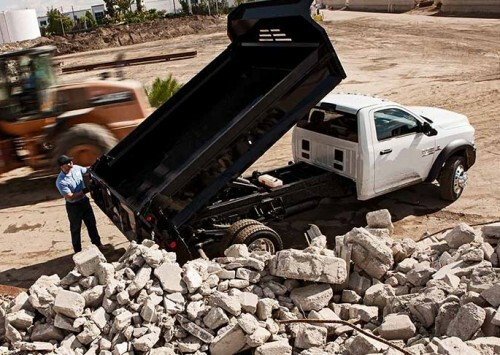 Whether it’s for the jobsite, highway maintenance or the oil and gas industry, the Ram 4500/5500 Tradesman chassis has what you need. Crafted from rugged steel or lightweight aluminum, service upfits offer ample external cargo spaces and customizable shelving to help keep your equipment organized and protected. These upfits are great for construction, emergency responders, electrical and highway maintenance. Popular for construction, towing and delivery, platform upfits make loading and unloading easy whether you’re working with a forklift or just your crew. With best-in-class rear frame steel strength of 50,000 psi, your business will have the strongest foundation to build on. 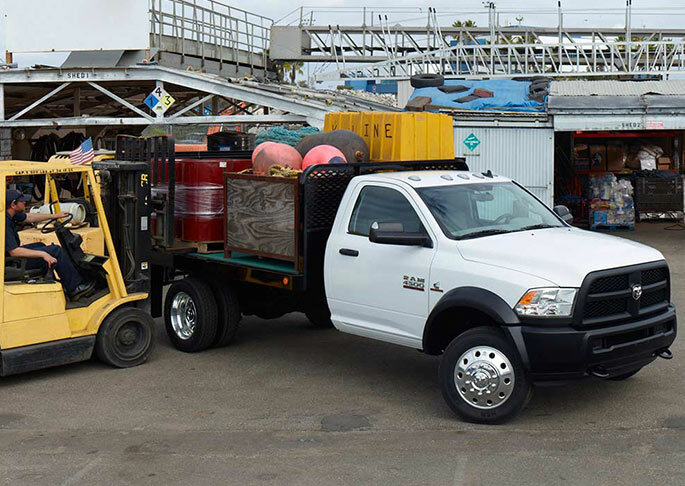 Ram chassis cabs features best-in-class available combined fuel tank capacity of 74 gallons to help keep your business on the road. This upfit is recommended for construction, farming, forestry and oil and gas workers. Equipped with underbody electric or hydraulic hoists to make unloading easy, dump upfits offer easy hauling for sand, soil, mulch and other heavy materials. Available drop-sides also allow quick access for loading and unloading. Construction workers, landscapers, farmers and miners could get a lot of use from this upfit. Whether you’re hauling cross-country or delivering across town, box van upfits are built to maximize cubic footage and minimize security concerns. 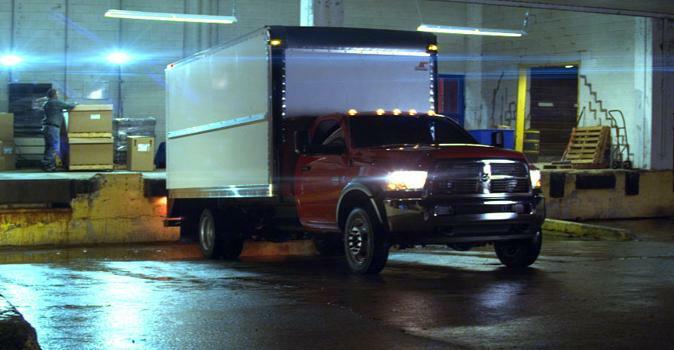 The class-exclusive standard Electronic Stability Control (ESC) system on the Ram chassis cab includes: electronic brake force distribution, rain brake support, brake assist and ready alert braking. Box van upfits are great for movers, delivery services and landscapers. Whether your business needs moderate cooling or sub-zero storage, refrigeration upfits offer insulation, durable delivery-focused construction and a steel-reinforced outer body cage to help protect your cargo from the elements outside. 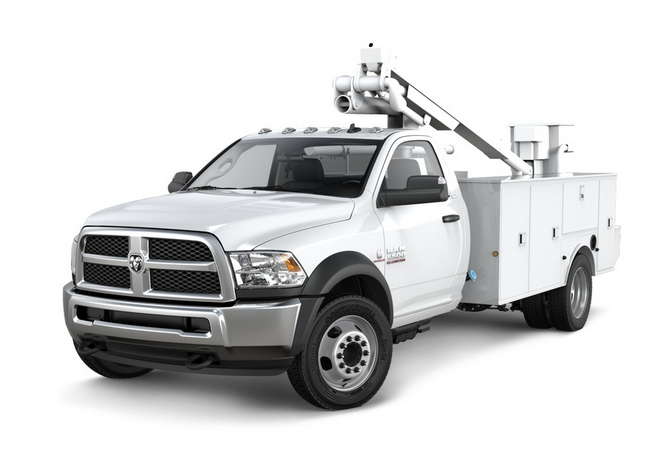 The available PowerNet electrical architecture on the Ram chassis cab features a 53-circuit interface module to handle any upfit electrical needs with ease. Those who delivery chilled orders would find a need for this upfit. Sod, mulch, trees to be planted — whatever your land duties are the landscaper upfit will help get the job completed. Landscaper upfits utilize frame-mounted storage boxes that help grow your business. This uplift is great for farmers and those in the forestry profession. From municipality use to heavy equipment service and repair, mechanic upfits require a durable body construction and serious electrical boosts. With the ability to handle large-scale upfit requirements like cranes, the mechanic upfit offers a mobile warehouse of capability and storage. Those in highway maintenance and who work on telephone poles can get a lot of use from this upfit. Designed to help minimize safety and security concerns, ambulance upfits call for increased cargo and electrical capabilities. These hardworking upfits demand power and performance without compromise because the stakes are always high. This durable uplift is for those in emergency response and law enforcement. 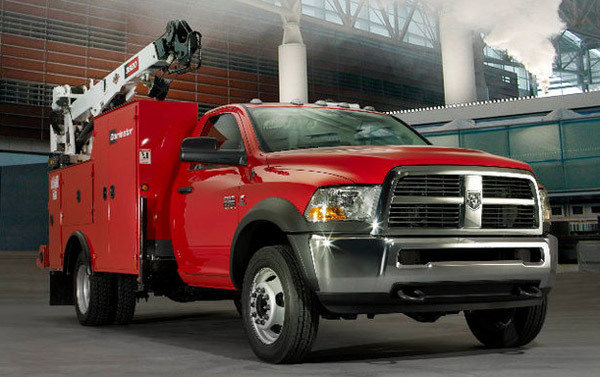 The auto workers of the Atlanta area can look for this uplift to upgrade their Ram 4500/5500 chassis. Some of the hardest working trucks in the world of commercial vehicles, wrecker upfits require increased electrical loads, hefty hauling power, storage and the strength to handle whatever the world throws at them.